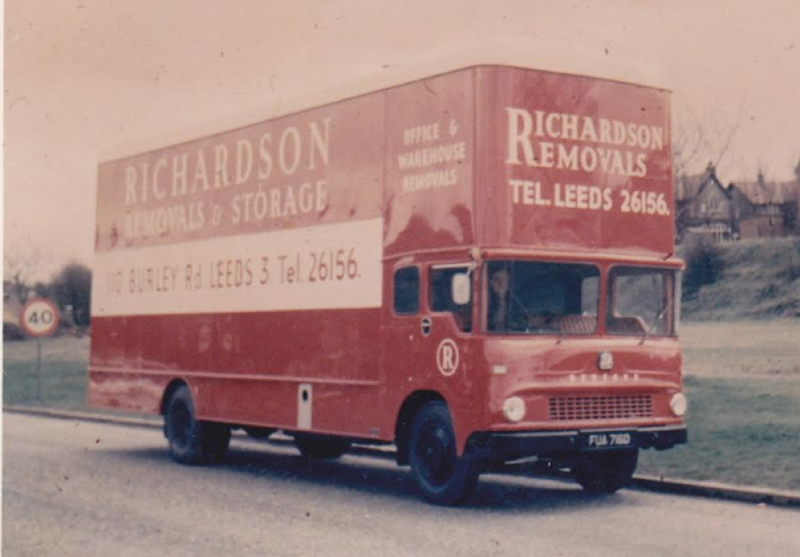 Richardson Removals started life operating in Leeds, however, after a period of time at the start of the 60’,struggling to find enough work, the owners of them firm decided to sell up. Ron Burridge, a Pickford’s manager and his brother in law, Morris Handley, who was a Coal Board mechanic bought Richardson Removals in 1964. They quickly set to work, painting and refurbishing the very tatty fleet that they had bought, and in some cases, replacing them. 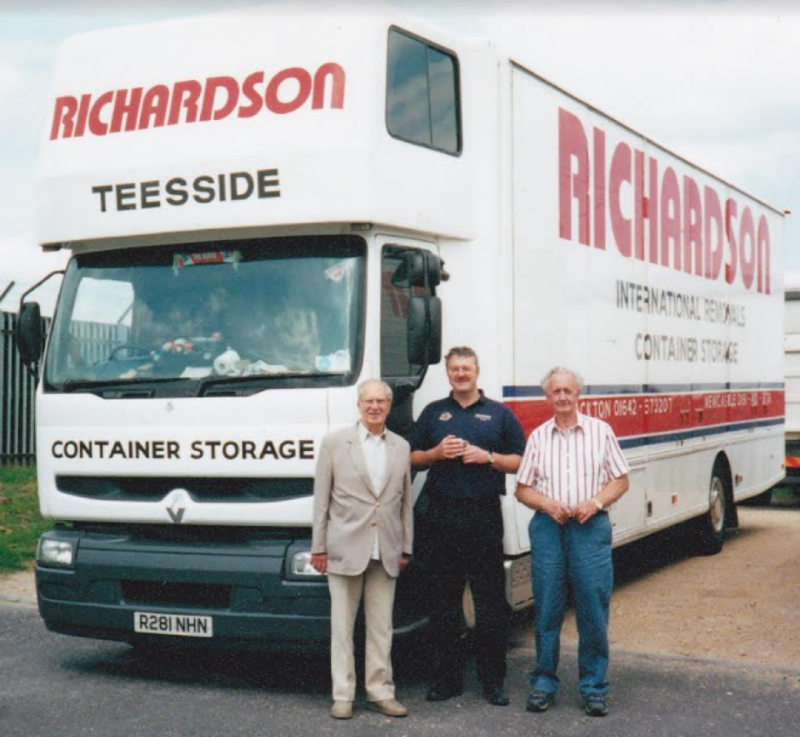 Turning around the company’s fortunes, it was time for Richardson Removals to expand, opening up their Teesside branch in 1972, with Ron and his family relocating to Teesside. 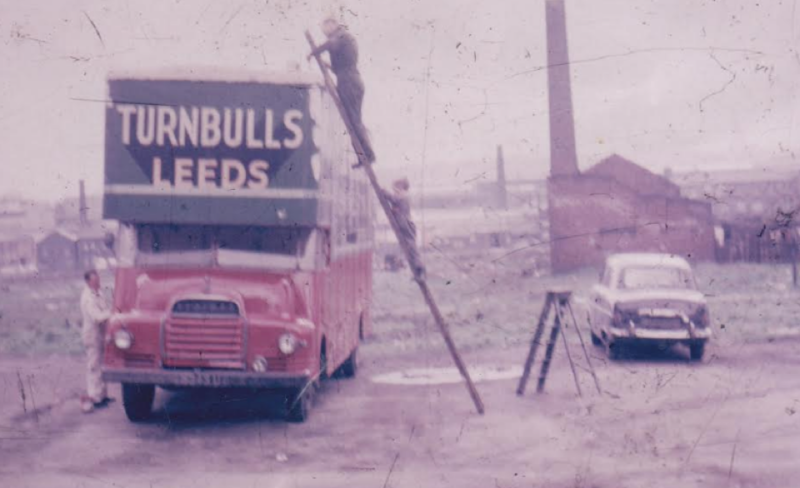 However, after the death of Morris in 1974, the company decided to shut down their Leeds operation and concentrate their efforts in Teesside as the family were so settled. It wasn’t long before John Burridge (pictured above looking angelic) was working for the firm. Quickly building up a reputation for providing a quality service, the business continued to expand, including the addition of John’s first van, pictured below. Company growth continued and in 1987, and the Richardson Removals logo change can be seen. The new logos arrived the same time as a new container store, both of which can be seen below. The company continued to grow, as did the number of services it provided. In 1994 the Teesside Development Corporation were keen to develop the old Whessoe site in Stockton and the the company purchased some land and were the first business to build on the former industrial site. It started with a 10,000sq ft containerised store, offices and yard, and then in 2001, the site was fully developed in 2001 with the addition of another 12,000 sq ft building that included containerised storage and self-storage. Below is a picture of another new vehicle which arrived in 1997. Centre is the current Managing Director John Burridge, with his father and company founder Ron, to the right. Just before Christmas 2015, Ron Burridge the company’s founder passed away aged 88. His wish was to be transported during his final move in the firm’s oldest van and for the ‘lifting’ to be done by his family. The arrival of a new truck in November of 2016 means that the crews can now take advantage of all new features, including seating for 6, sleeping for 3, full air-suspension and 360 degrees recordable cameras. The truck made it to Richardson’s after exhibiting on the Unique Van Bodies stand at The Movers & Storage show. 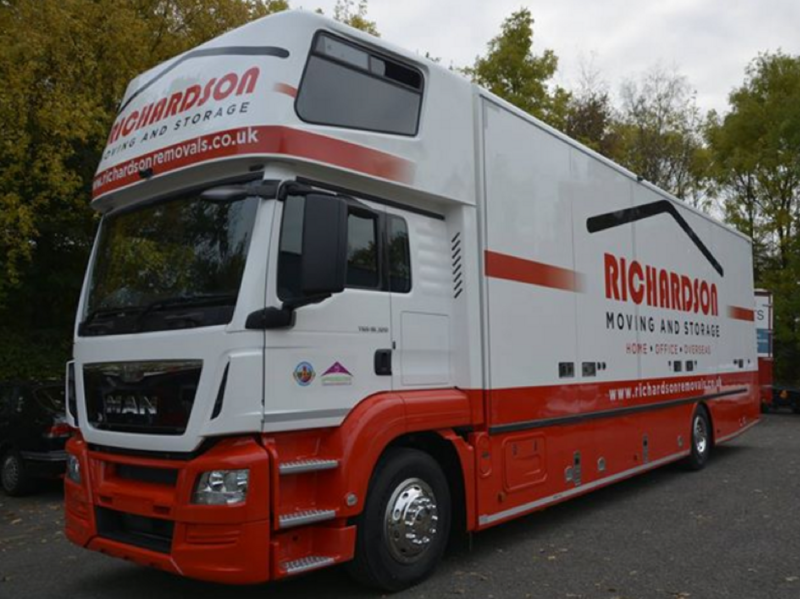 Having recently launched their new website – Richardson Moving & Storage continues to provide the very highest standards in domestic, commercial and international moving, and storage services for a wide range of customers. Managing Director John Burridge continues to lead the direction of the business, whilst son Josh, the third generation of family to work at the business, manages the 16 employees and eight vehicles.